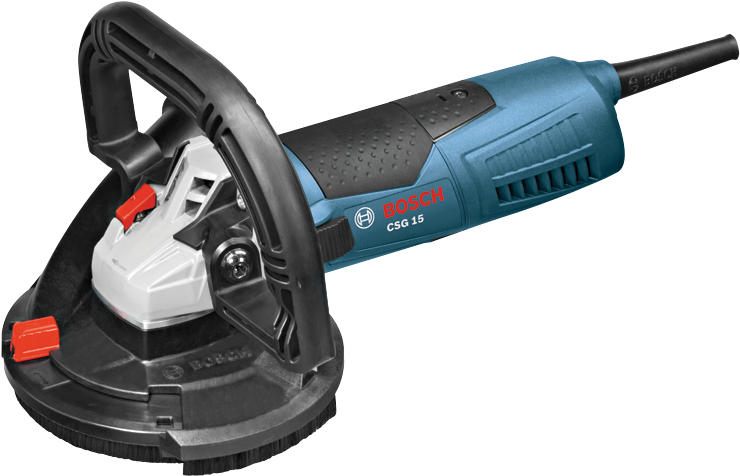 The Bosch CSG15 5- In. 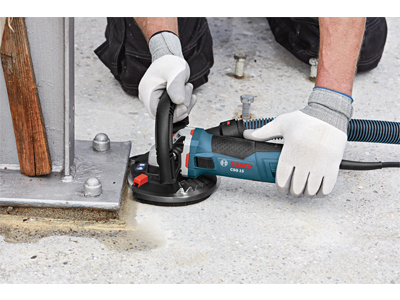 Concrete Surfacing Grinder has a dedicated dust-collection shroud for a cleaner work environment, as well as plenty of power. 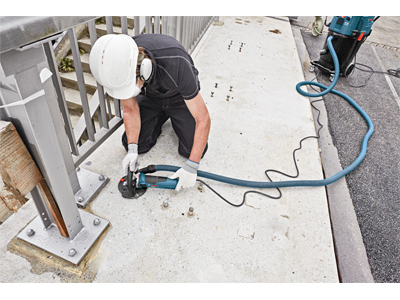 It delivers 12.5 AMPs and up to 9,300 RPM, for concrete grading, surface preparation and other tough concrete applications. 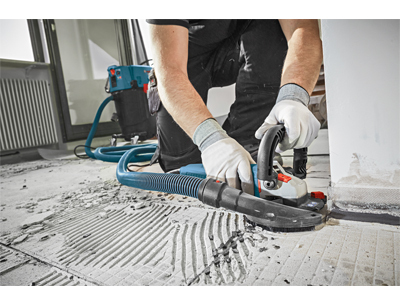 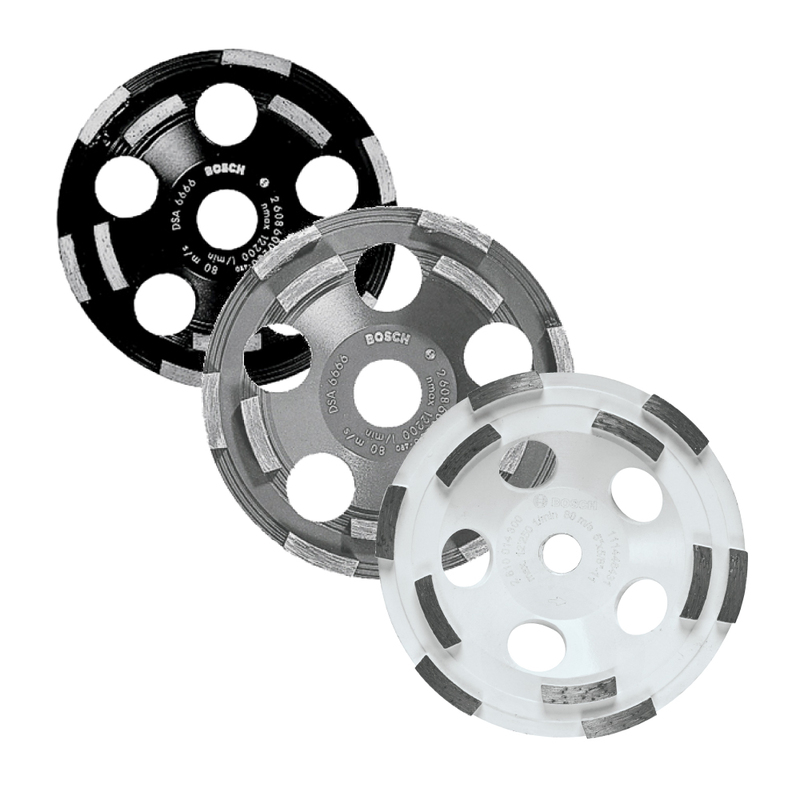 Its dedicated dust guard system is a comprehensive solution for collecting dust that allows grinding flush against walls. 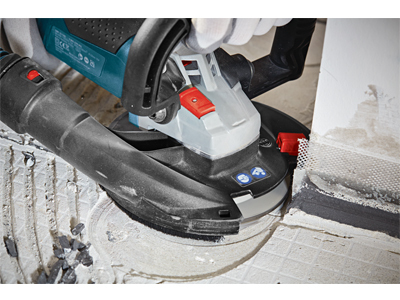 The system helps to provide a longer operational life, including a sealed motor and a sealed switch. 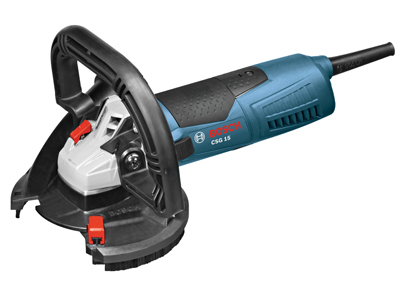 It also has double-sealed ball bearings and two lip-sealing rings to protect against dust contamination. 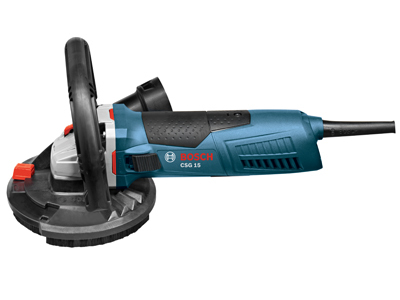 With Constant Response circuitry, this grinder's motor can handle extended operational load, which allows the user to reach areas where walk-behind unit can't touch. 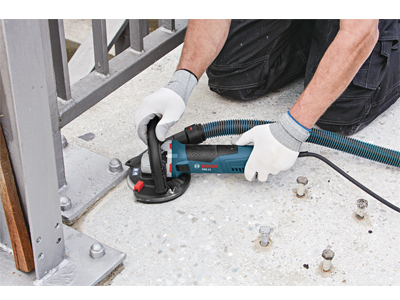 Its spindle lock allows for quick wheel changes, it has a wrap-around auxiliary handle and it includes Service Minderbrushes.